In the last tutorial, we have discussed char to int conversion. 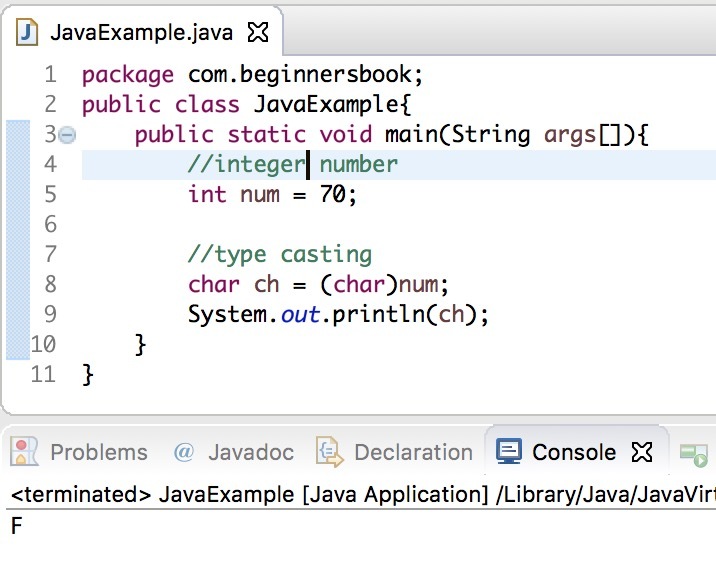 In this guide, we will see how to convert an int to a char with the help of examples. To convert a higher data type to lower data type, we need to do typecasting. Since int is higher data type (4 bytes) than char (2 bytes) so we need to explicitly typecast the int for the conversion. In the following example we have an integer number num with the value 70 and we are converting it into a char by doing typecasting.